Have you ever wanted to put together a mosaic made of photos? Like the one above? I made that one with a few simple steps, starting from the one below - which I originally took on a freezing morning in Shibuya, where a "mobile" model photoshoot was happening in the middle of the streets. 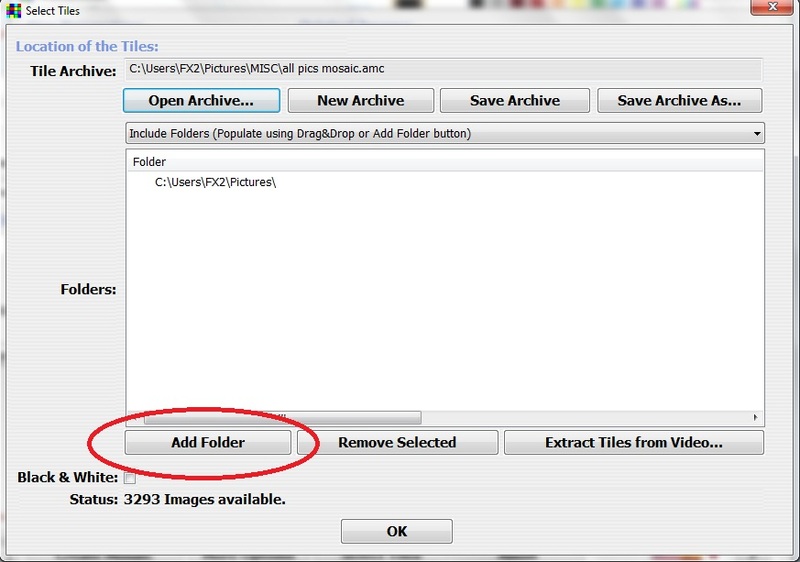 Keep in mind - when you make a photo mosaic you are making a faily huge file, that is best used for some really big prints. With that in mind - let's get to how to do it. but this tutorial covers Andrea Mosaic, so... the Mac people with the turtleneck are invited to go here to learn about MacOSaiX. Done? Ok, now that it's installed, and opened up...let's move on. You should see a window like this popup. On the bottom at the center you can see, "Select tiles." Click on that. It will direct you to the following screen. 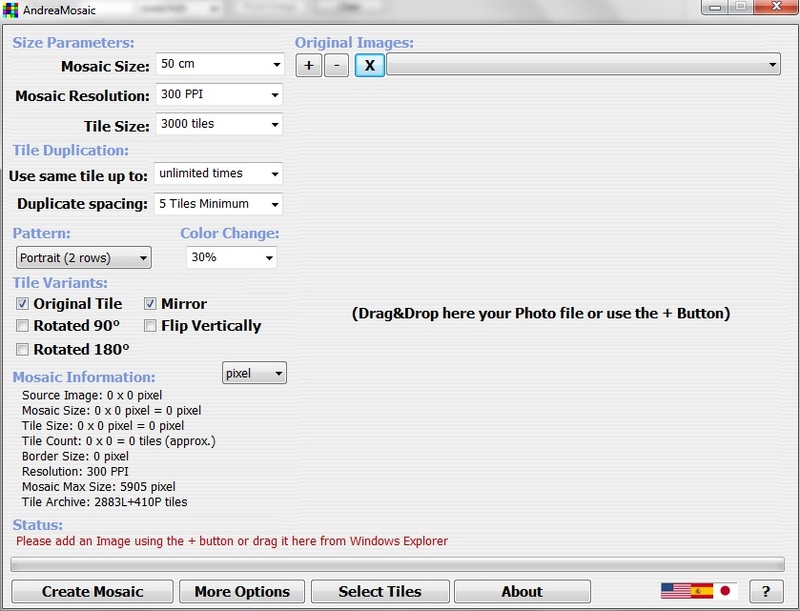 This is where you choose the picture you are going to use. You might want to make certain mosaics only with pictures that are thematically similar. E.g. make a mosaic of a bride with all the pictures from her wedding. 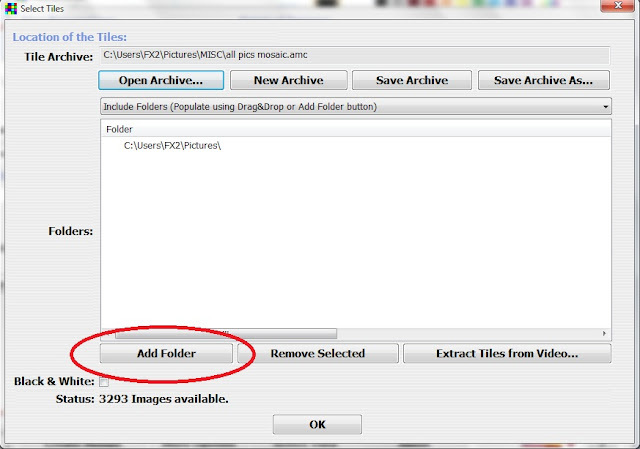 After you select the folder, save your tile gallery and then press ok. You will go back to the main page of Andrea Mosaic. On the top right, click the + under "Original Images" and select the photo that is going to be your the footprint for the mosaic. 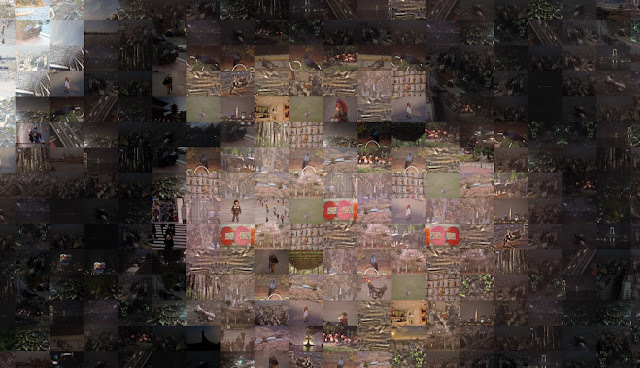 Go to the bottom left of Andrea Mosaic and click "Create Mosaic." Andrea Mosaic at this point will bake cookies, oil cogs and sweep roads for a while as it calculates what is the best way to put all your photos together in a way that looks like your footprint photo. The results will be quite amazing... and you'll have a lot of fun zooming into the pics to see what photos have turned into a detail like "eye lashes". 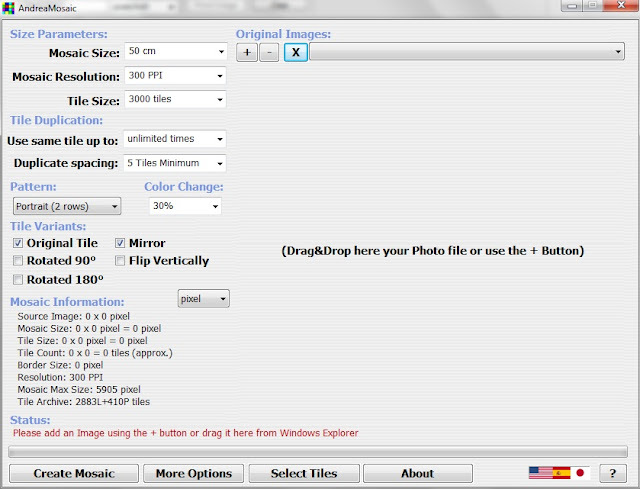 You can now play a bit with the seetings on the left for size, number of tiles, size of print, tile distribution, etc. This will make the picture more to your liking. 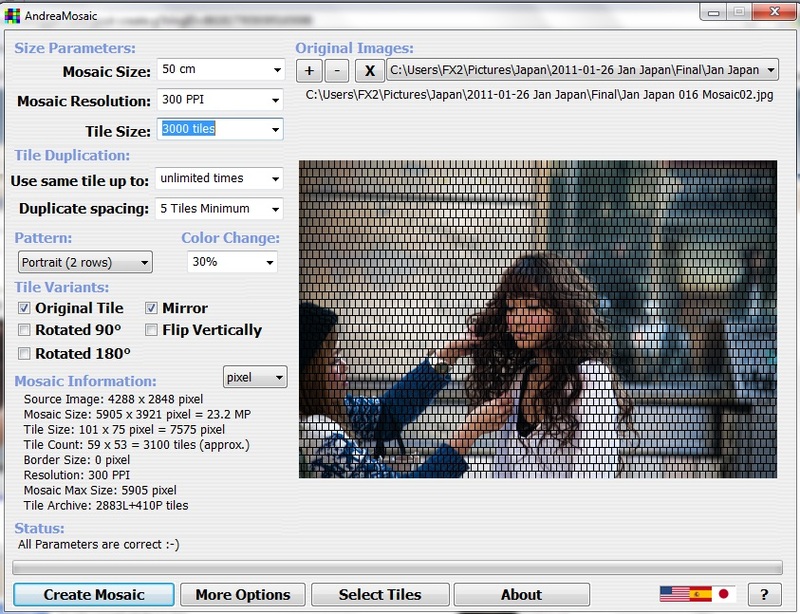 Coming soon - how to make the Mosaic even better post producing it in Photo Shop!